FRANCE: Energy minister Segolene Royal has announced two more pilot floating projects in the Mediterranean, following a tender launched in 2015. EDF Energies Nouvelles has been selected for its Provence Grand Large project in the Faraman zone, off Fos-sur-Mer. It will comprise three Siemens 8MW turbines on tension-leg platforms designed by SBM Offshore and IFP Energies Nouvelles. Engie, EDP Renewables and the Caisse des Depots have been awarded the zone off Leucate. 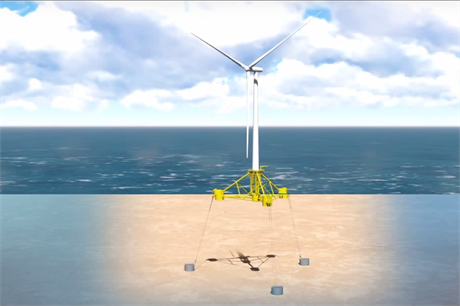 Their Golfe du Lion project will feature four 6MW GE Haliade turbines on Principle Power's semi-submersible WindFloat platforms, to be built by Eiffage Metal. Two previous projects, announced in July, were awarded to Eolfi with CGN at Le Groix and to Quadran at Gruissan. At the same time, Royal authorised regional authorities to begin identifying potential zones for commercial floating projects to be offered for tender.